Promotes Independence when you need it. While most other Caregiver agencies require their clients to utilize their senior services for a minimum of 4 to 6 hours per day, Senior Lifestyle Solutions home care has no hourly minimum. We offer elder care the flexibility of having our expert Caregivers provide assistance for as little as 30 minutes or 24 hours a day. Perhaps you may need someone to make a healthy meal for your mother, bring her to the local hospital, or simply take her outdoors for a walk. Oftentimes, these short activities are too difficult to be completed within the hour. Our Caregivers can come to a designated home or location, provide assistance where it is needed, and continue to help others, all in a day’s work. Senior Lifestyle Solutions home care always strives to provide the best quality of in home care that not only meets, but exceeds both your and your loved one’s expectations; regardless of the amount or type of senior care that is requested. The reason why we require no hourly minimum is because we believe in leaving the decision up to our elder clients and their families. The lack of an hourly minimum means that you and your loved ones can avoid paying for costly services which may be considered unnecessary or not required. At Senior Lifestyle Solutions, we not only care about our clients’ well-being, but their financial situation as well. We aim to provide affordable in home care that is also second to none in terms of quality. Flexible hourly care or 24 hour care. We work with your schedule and needs. Our Senior Lifestyle Solutions staff works around-the-clock, because we know that caring for seniors can be a 24/7 responsibility. Emergencies often take place in the middle of the night, and we can provide you with the support you need to address and recover from the situation. You can trust our Care Coordinators to consistently provide you with outstanding customer service and advice at any time of day or night. Transportation is an important element in living life to the fullest. From various appointments, shopping, errands, and social engagements. No matter what the occasion we can get you to your destination and back home safely. 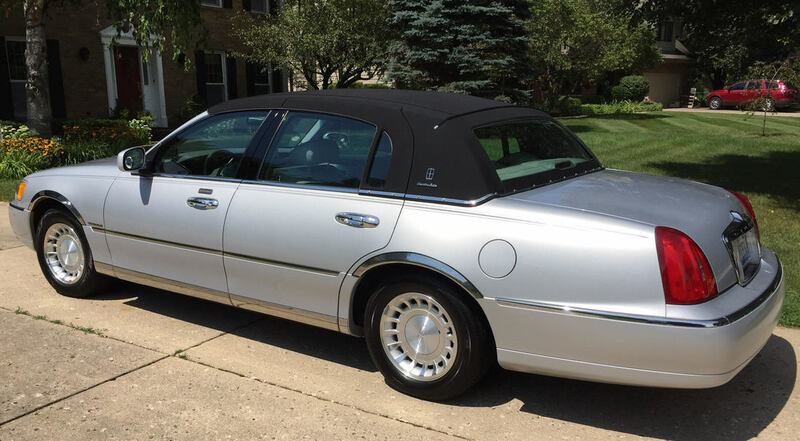 Senior Lifestyle Solutions home care provides the luxurious Lincoln Towncar for our clients. You will travel to your destination in comfort and style. No uncomfortable buses, hard to access vans or utility vehicles. Getting from place to place is safe, comfortable, and effortless. Senior Lifestyle Solutions is always at your door, on time, when you need it. Conditions like dementia or arthritis may come with unique care challenge. You should not face those challenges alone. Our caregivers our experienced to help seniors cope with their condition while maximizing their capabilities. Senior Lifestyle Solutions home care can help meet a variety of care needs related to Alzheimer’s disease, dementia, arthritis, Parkinson’s, diabetes, depression, and other conditions. If you or a loved one is hospitalized, about to be hospitalized, or was recently hospitalized, we are here to be your advocate. Our care managers are skilled at helping you ask the right questions, plan for what's next, and make sure you are fully supported in a timely manner so that all you have to do is get better. We provide continuous support for hospice patients in/out of their homes and work closely with hospice nurses. 7-days per week, 24-hours per day, including weekends and holidays. Selecting a caregiver to care for a elder loved one can be a difficult decision. We can help make the selection process easier for you and your family. The success for our clients and for our company is entirely dependent on the quality of our Caregivers. We make certain to find and provide our senior clients with the industry’s best caregivers so that our elders have a positive in-home care experience. We submit all of our Caregivers through background checks, assessment tests, and verify references. All of our Caregivers are required to be compassionate, reliable, experienced, and above all else, TRUSTWORTHY. We understand that you are entrusting your loved one’s home and well-being with our company, these are things that we take very seriously. ​Senior Lifestyle Solutions home care services clients of all types across the personality spectrum. Whether a senior is a stalwart veteran, or a gregarious socialite, we can find a match that will work out for you or your loved one. We understand the importance of compatibility between a Caregiver and a senior. 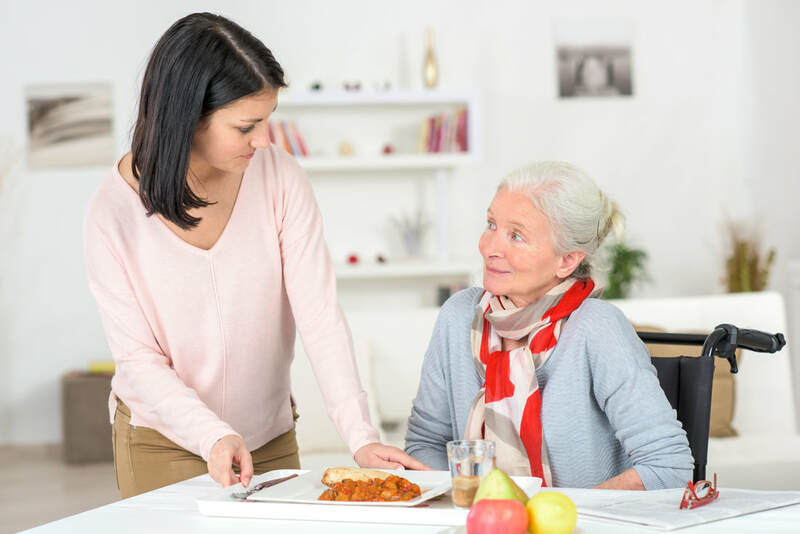 If, by any chance, our senior clients feel more comfortable with another Caregiver, we are happy to re-evaluate their present situation and make changes or adjustments to better suit there needs. Client comfort and piece of mind is our number one priority. Navigating through the complexities and the confusion of today's health care system can cause you or your loved one to experience frustrations in coordination or in figuring out what to do next. Particularly during times of transitions. These transitions can be a change of physical location (e.g. hospital to home or rehab to home) or it can be a transition or change in your overall health. It is our goal to assist you through these times, so all you have to focus on is your well being and comfort. In-Home care with Senior Lifestyle Solutions has ready access to a variety of health care providers resources ranging from primary physician care, home health care services, hospice, or any other resource you may need for your love one. Senior Lifestyle Solutions is committed to helping you or your loved one maintain a safe and independent life so you can remain in your home for as long as possible. If you would like to speak with one of our case managers at no cost to you, please e-mail or call us and we will be more than happy to help support you in any way that we can. ​Call us for a confidential consultation today!